Aboriginal and/or Torres Strait Islander people are strongly encouraged to apply for this position. The Cathy Freeman Foundation (CFF) was established in 2007 to work with remote Indigenous students, families and communities to improve education outcomes and inspire Indigenous students to achieve their goals and dreams. The Foundation acknowledges the strength and wisdom that lies within remote Indigenous communities. Our work demands strong and trusting partnerships with community, Elders and school leaders. We partner with communities for the long haul, as we journey through the complexities of the work required to create sustainable social change. CFF works with 1600 Indigenous children and their families across four remote Indigenous communities in Queensland (Palm Island and Woorabinda) and the Northern Territory (Wurrumiyanga and Galiwin’ku). CFF implements five key projects across these communities, working with children from Kindergarten through to Year 12. The key outcomes of our projects include increased school attendance, increased Year 12 attainment, building the self-belief and self-esteem of Indigenous students to achieve their dreams and increasing the engagement of families and communities in educational events and activities. The Cathy Freeman Foundation inspires children to realise their own gold medal journey. The team at the Cathy Freeman Foundation share the following values, which generally attract like- minded community, school and funding partners. Experience – we take the voice of community seriously and build upon what already works. Learning – we share a love of learning amongst our staff and with our school and community partners. Loyalty – communities respect that we are there for the long term. Integrity – we follow through on our word. Initiative – we take the small necessary steps to create positive social change. The purpose of the Program Director role is to strategically oversee the Cathy Freeman Foundation education program in its entirety. This senior-management role is responsible for ensuring that the Cathy Freeman Foundation program, including each individual project aligns with organisational strategy, for implementing a strong program management cycle and for establishing the Cathy Freeman Foundation as a reputable community development organisation delivering best practice programs. This role is responsible for the high-level management of the organisational relationship with each partner community, including developing and maintaining key community relationships and implementing a community engagement strategy adhering to community development principals. Further, the Program Director is responsible for managing all programs staff, both community-based and in the head office. This role also plays a significant role in contract management and reporting across the Cathy Freeman Foundation. The Program Director will report directly to the CEO. Prepare, collate and write all necessary reports in respect of contracts and other materials as directed by the CEO. Aboriginal and Torres Strait Islander applicants are strongly encouraged to apply for this role. Proven understanding and knowledge of Aboriginal and/or Torres Strait Islander peoples, their cultures and communities. Proven experience working with Aboriginal and/or Torres Strait Islander communities and ability to communicate sensitively and effectively with Aboriginal and/or Torres Strait Islander people. Sound and demonstrated (equivalent to ten years’) experience leading community development programs. This is a full-time role with the Cathy Freeman Foundation. The annual salary will be negotiated with the successful candidate and will be between $100,000 and $112,000. The role is a 12-month contract. To apply for this position, please send a current Resume and Cover Letter addressing your suitability for the role with reference to the required skills and experience, to Jade Colgan at admin@cathyfreemanfoundation.org.au, using the subject line: Programs Director application via SEEK. 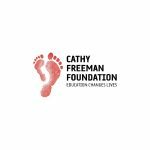 For further information please email Jade Colgan at admin@cathyfreemanfoundation.org.au or go to www.cathyfreemanfoundation.org.au. Applications close: 11pm Sunday 28th April 2019.